Android is the most popular operating system (OS) for smartphones, bar none. It is also the most open: you can customize the device to your heart’s content, swapping out and adding new apps with the view of building a perfect device for your specific needs. The platform’s openness, combined with its vast numbers of users (1,675,450,000 as of March 2015), does however makes Android an attractive and lucrative playground for malware authors. According to Cisco 2014 annual report, 99.9% of all mobile malware in 2013 targeted Android devices. Moreover, Android users also have the highest encounter rate (71 percent) with all forms of web-delivered malware. While Android has some in-built security, supplementing it with a comprehensive security, such as ESET Mobile Security, provides much more robust protection for the user. In July this year, AV-Comparatives conducted an in-depth review of all the features available in ESET Mobile Security. AV-Comparatives was impressed with ESET’s attention to detail. They highlighted nice-to-have features, such as the app’s On-Charger Scan, a feature the user can turn to scan the device when the device is plugged into a power source, protecting your battery life when you are on the go. The Antitheft features were also heralded. For example, when device is reported stolen, the app locks the device, activates the camera and takes photos at regular intervals with the front-facing camera. ESET’s SIM Guard prevents non-authorized users from replacing the SIM card. When attempted, the phone is locked and a message is sent to the trusted phone number provided during the initial set-up. The product also records all the networks the device connects to. The entirety of data collected by the theft-protection feature can then be exported to a downloadable ZIP file, which can be passed on to the police. Another feature that was highlighted is ESET Mobile Security’s Lock feature, which prevents unauthorized usage. “If the lock command is sent by text message, the sender will receive a reply with the IMEI number of the device and the IMSI number of the SIM card. The lock is very robust, and we were not able to bypass it,” states the AV-Comparatives report. 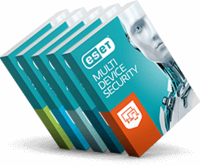 A wealth of other security features has been included in this ESET app. The built-in Siren, activated by texting ‘Siren’ from the trusted user’s number, emits a shrill siren and locks the phone - a useful tool to help the user find the phone when it has been mislaid, or to encourage a thief to abandon the device. The user can then use the app’s Find feature to receive a text with coordinates of the phone’s location on Google Maps. You can even track the phone’s movements via the web interface. The Wipe function can also be used. It deletes the user's personal data from the smartphone. ESET Mobile Security can be obtained free from the Google Play Store. A premium license (€9.99) for the Pro version provides access to all the security features.